Tessa’s background as an organisational psychologist underpins her understanding of complex client challenges and enables her to develop practical, enduring and evidence-based solutions. She has expertise in various areas that include organisational strategy, culture, change and transformation, innovation, leadership development, talent identification and management and psychological assessment. She brings strong critical thinking and problem solving skills, complemented by her natural ability to build collaborative relationships. 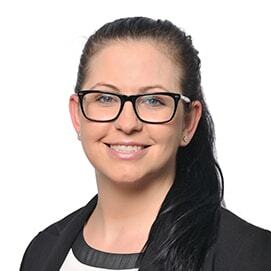 Tessa is a registered organisational psychologist with the Australian Health Practitioner Regulation Agency and has a Master of Psychology (industrial and organisational) from Deakin University. She is a qualified behavioural therapist and prior to working at Nous worked to help autistic children lead a better life. She has also previously worked with Newcrest Mining and a smaller consulting firm, PeopleScape. Tessa is accredited in a range of psychometric tools, including the Barrett Values Centre Cultural Transformation Tools (CTT), Leadership capability assessment (MLQ), SHL personality tool (OPQ), Hogan 360 assessment and Hogan personality tools (HPI) (HDS) (MVPI). Tessa enjoys spending time with her husband and dog Luna. She is passionate about health, fitness, cooking and music. She is a qualified snowboard instructor and avid back-country split boarder.